This past Saturday I had the privilege to talk a little bit about Brazil and the IT Industry in Brazil to a class of MBA students at the American University in DC. You can find the deck I’ve used to guide the discussion here: Brazil A Nearshore Opportunity. With the Brazilian economy growing, even through the recent worldwide recession, and the IT industry thriving with a large internal market and a growing prospect on exports, Brazil is being recognized more and more as an important opportunity for companies looking to expand their pool of providers or change to a Nearshore model that heavily benefits daily talks without timezone’s constraints. Sheet Music Publishing was once the largest player in the music industry. With the invention of the phonograph and advances in recording and distribution technologies, Recording companies became the largest force in this industry since the 20th century. But the sheet music market isn’t dead and annual sales’ estimates are over USD$2 bi. Those who had studied music knows that you’ll acquire a considerable number of scores, that will only increase if you pursue a professional career. The first attempt at ‘modernizing’ this industry presented desktop software solutions for editing and digitally distributing sheet music. But it hasn’t been that easy to take a computer – or even just a screen – to public performances such as those made by an orchestra. In 2010, the iPad launch brought new life to this attempt with various apps being developed to display scores on the iPad – many using plain PDFs as a way to make it easy to distribute digitized sheet music. Even so, a centenary problem would still be an inconvenience: turning the page. Be it paper, or a digital one. Tonara is trying to solve this problem with an app for the iPad released in September, hoping to be a strong ally to musicians during a performance. And sell scores. The technology implemented in this app follows the music being played and turn the page at the right moment. It doesn’t matter if the player increases or decreases the tempo. As long as – most of – the right notes are hit. With an initial investment of USD $750k, Tonara has been able to develop a technology that follows a specific instrument even when others are being played simultaneously at the same place. Each iPad could be able then to follow a specific score, based on the instrument they are following. The app (available on the App Store) have a few free scores and access to an online store to increase your collection. Considering that the Book Publishing market has been changing based on an increasing number of self-publishing authors and On-demand Publishing, Tonara’s store could be an opportunity to expand into a self-publishing platform for independent composers. Given that composers earn today in royalties around 10% of the printed list price, having the right platform and a powerful viewer tool (app) could be a good positioning for this company. I’ve performed a quick test of the app using one of the available scores and the results were quite good, following me play through various changes of tempo and full stops. At times though the app would seem to be carried away for a few seconds until finding its place again. A few tweaks for what is already a great technology. In 2009, Jack Dorsey (from Twitter) started to work in a new project after hearing that a friend was unable to complete a sale because couldn’t accept credit card as payment. In May 2010 he launched Square. 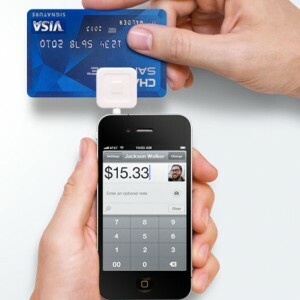 Square is a service that allows anyone to receive credit card payments. Without having a business or a merchant account. Imagine various freelancers, small business and everyone taking credit card. Square has a great market potential. Earlier this year I’ve joined the service. You can just download the app (iOS or Android) and receive the card reader at home. And that was the first innovation. The reader can get the data from the magnetic strip and transfer it to the phone throught the mic input. A simple reader, an accessible service. Business Model? Square charges a 2.75% fee per transaction. In the United States, merchants pay a transaction fee between 0.50% and 2.25% plus monthly fees. And you have to go through the merchant account option, which may not justify the cost specially with an alternative now. But Square didn’t stop to innovate after that. 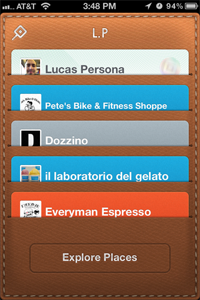 This past May (2011) they’ve launched the Card Case app for consumers, where you can register your credit card and use the app to make payments in places (Merchants) that already work with Square. It’s paying by credit card, without the card. Without even requiring the Square card reader. As new business models appear and get traction faster than ever, it’s important to face the risk known as the Innovator Dilemma, where it lay out the great risk for a company to keep it doing business as usual even when identifying a new opportunity that may kill it’s own business. When you hear about innovation in the payments’ field, the subject most talked about is NFC (Near Field Communication) where a chip is added to the phone (or into some credit cards) that allows it to exchange information with a reader just by getting close to it (a few inches). Google is one company betting on NFC in Android phones to be used as a payment system: Google Wallet. So instead of taking the credit card from the pocket (and the wallet), you’d just need to take the phone from your pocket and use it to pay. But why should we imitate the process of taking the credit card from the wallet, just swapping it for a phone, when we could just leave it where it is? Square presented this past week a new functionality in the Card Case app for Geo-referenced payments. By joining the service and opening a tab in a particular store/restaurante, when it’s time to pay I just tell my name to the cashier. My info will show up, with my picture. And the payment is processed. As I have the phone with me, Square can validate that I’m near the store (GPS) and the cashier – through my picture – can confirm that I’m the same person. To add to the security, I receive a message on my phone right away that the payment has been done. Everything without taking my phone (or credit card) out. At this point, the purchase doesn’t feel it cost anything. And that is the greatest danger of such innovation. The best technology won’t be the one with the most Acronyms or features but the one that is transparent to us. Completely weaved in our lives. So intuitive and simple. And this simplicity can change an entire industry. 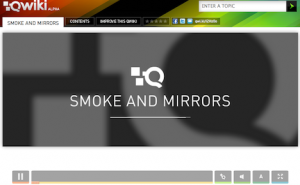 Is Qwiki website just smoke & mirrors? 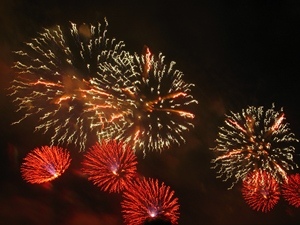 Since Qwiki was announced last year, it’s been constantly gaining momentum and media-share. As most describe it, it’s a “Visual Wikipedia” or “Information Experience” as the company defines it. I’ve had different views on it since they first announced it – and today I wouldn’t be surprised if the Qwiki website feels like smoke and mirrors to you. It does to me – and it maybe intentional: so that they can improve the underlying technology. I hope their main technology is not putting images and video together in a slide show but really the information curation process. How do you select the best piece of information from a large source? - Sentences that have the most proper names and/or dates. In a sense, Qwiki could have created for Content what Google’s PageRank was for indexing relevant Pages. - Then it reads something that seems totally out of place, but is part of the book of Ecclesiastes – which is highly replicated in other websites making Qwiki think it’s very relevant for the topic. Now, where could they take this beyond a “Wikipedia Slideshow”? - integrated in car systems: if you ask about the Empire State Building, it won’t start saying that it’s a landmark in New York if you are already in New York, but would give you some basic info/history, how to get there and perhaps opening/visitation times. 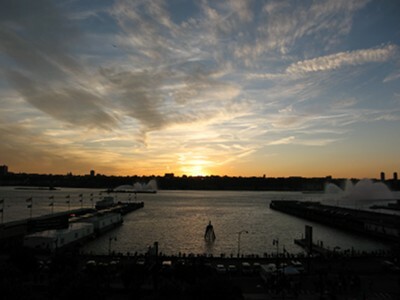 Now, if you are NOT in NY, then it would explain a little bit more about it and not give you visitation times if you are very far from there. And there are many more applications of similar technology. So I really hope the current Wikipedia-driven slideshow is smoke and mirrors to perfect this algorithm through crowdsourcing. Many people looking through subjects they are interested on and providing feedback into how relevant the summarization was. Now, if they focus only as a “wikipedia-replacement” to be used at home/work planning to include ads in it later, that’s passive consumption and they use to call that TV.